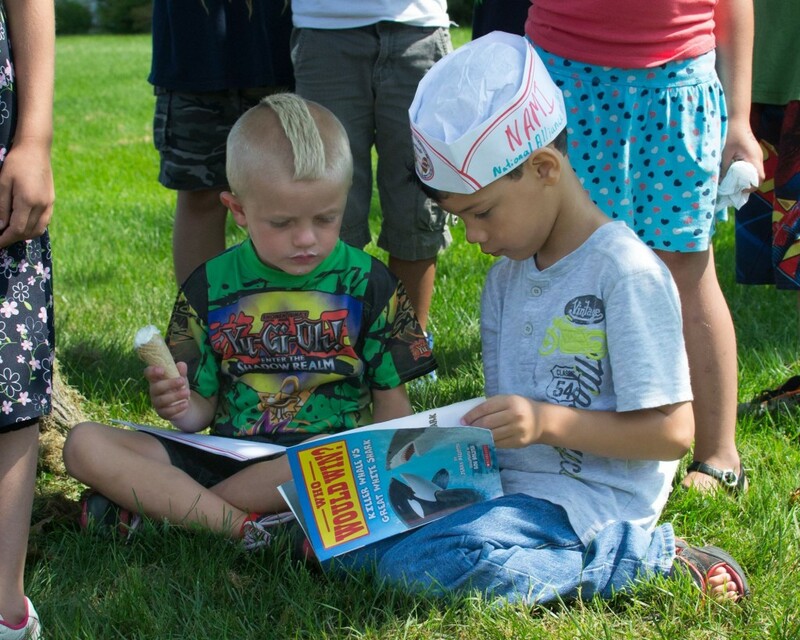 There is something magical about seeing children excited about reading! 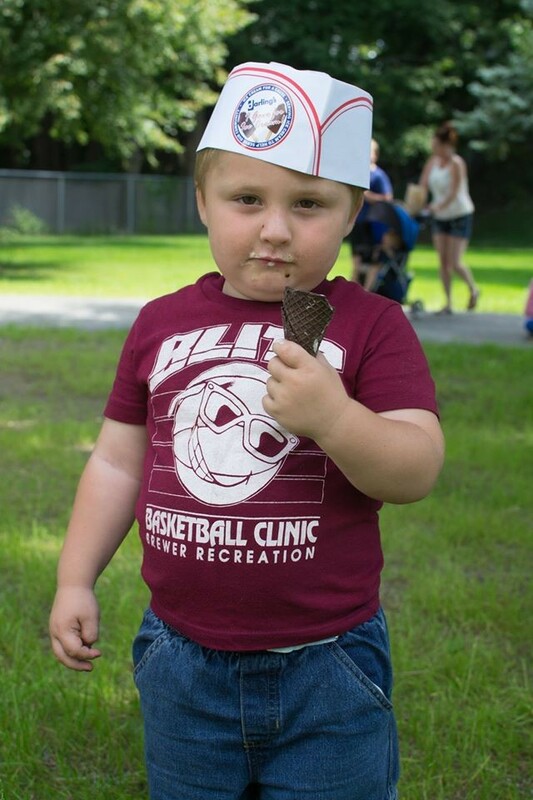 For the last two summers, I have had the joy of witnessing this magic first hand. 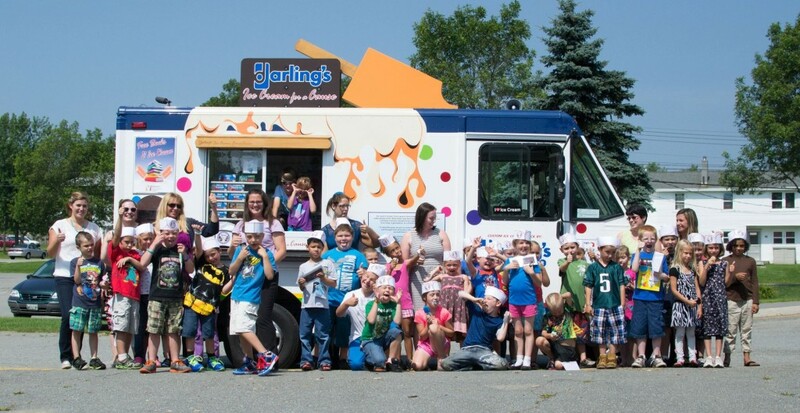 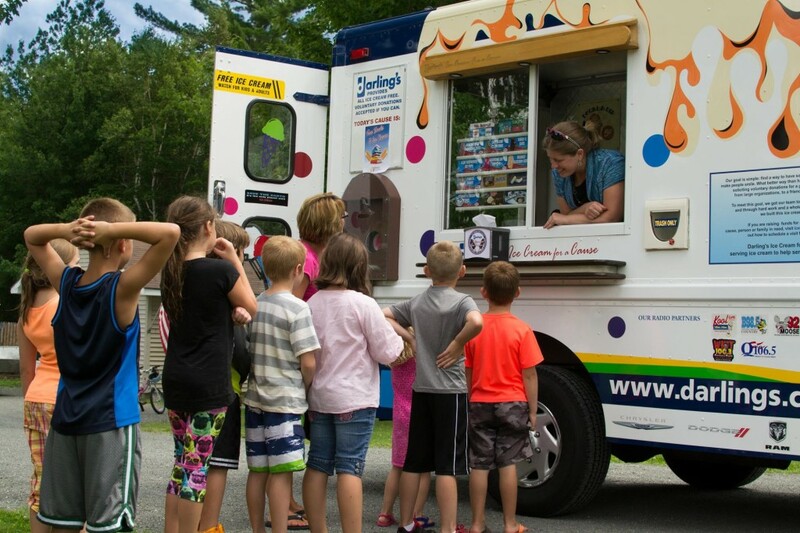 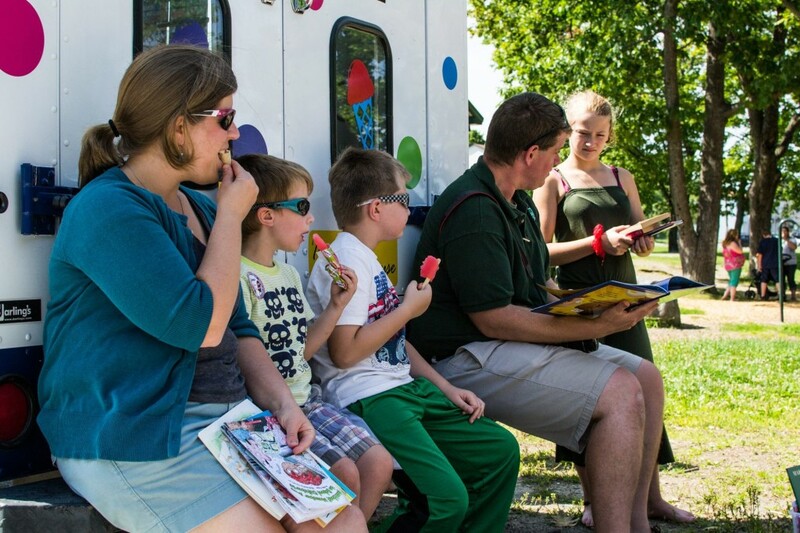 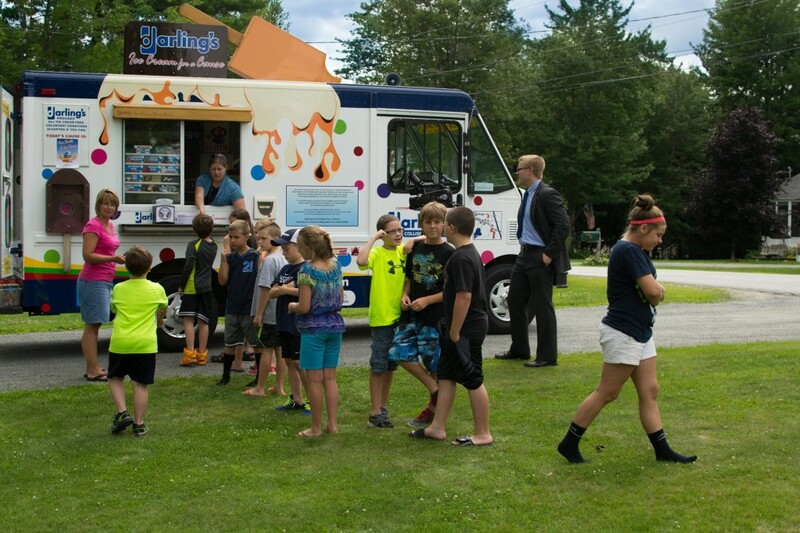 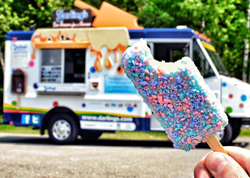 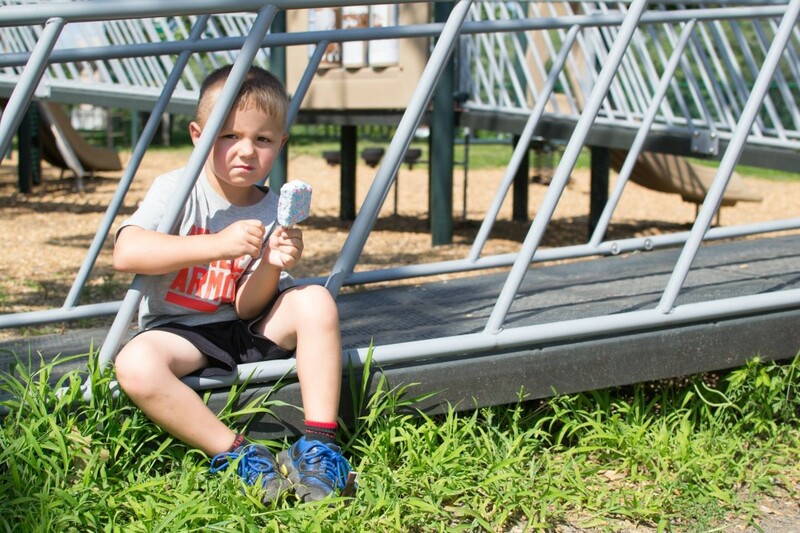 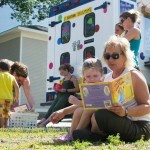 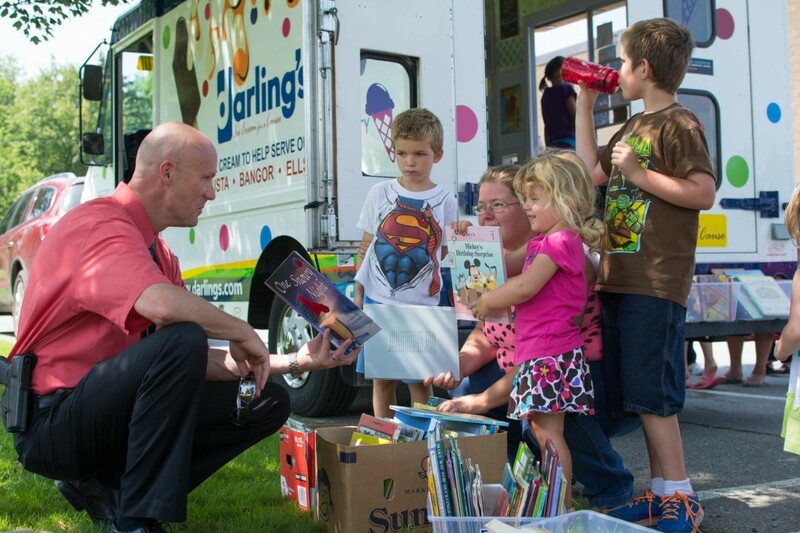 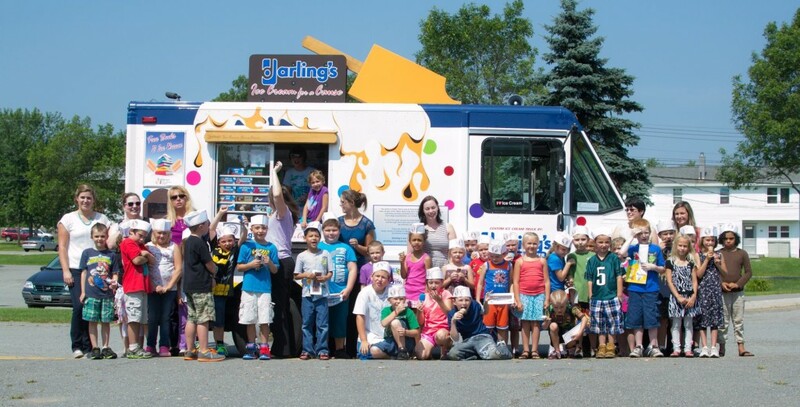 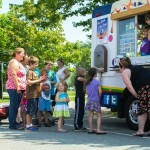 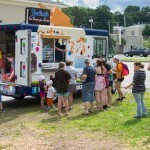 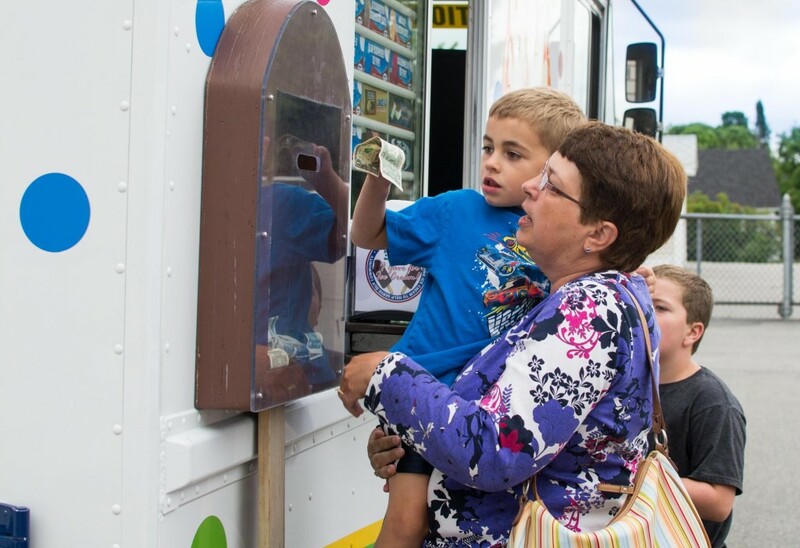 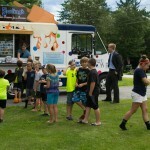 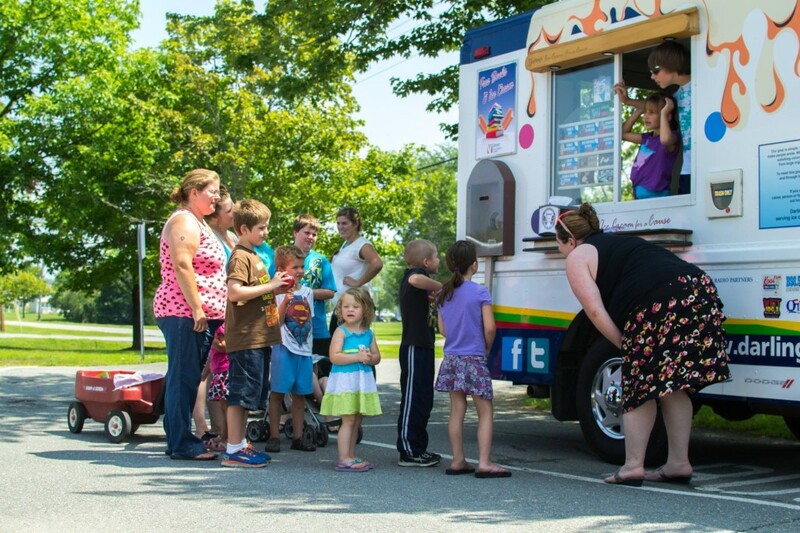 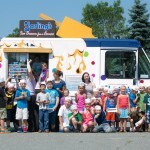 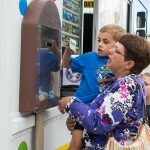 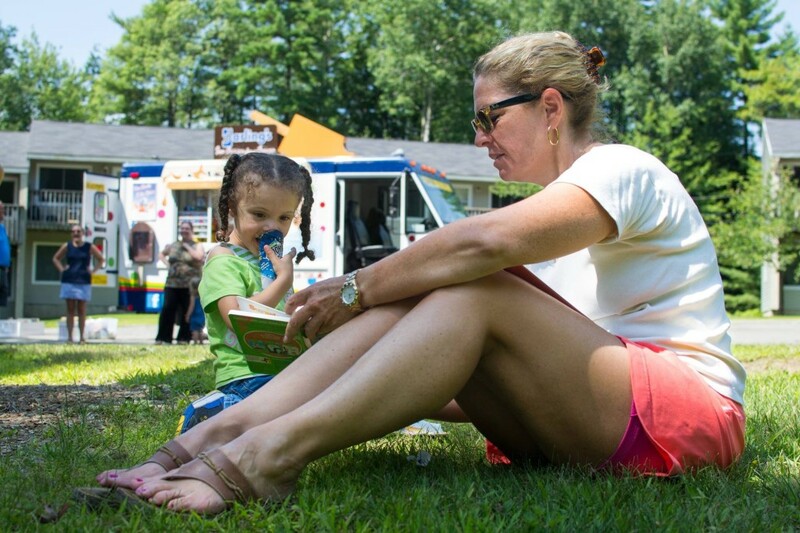 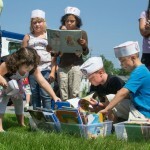 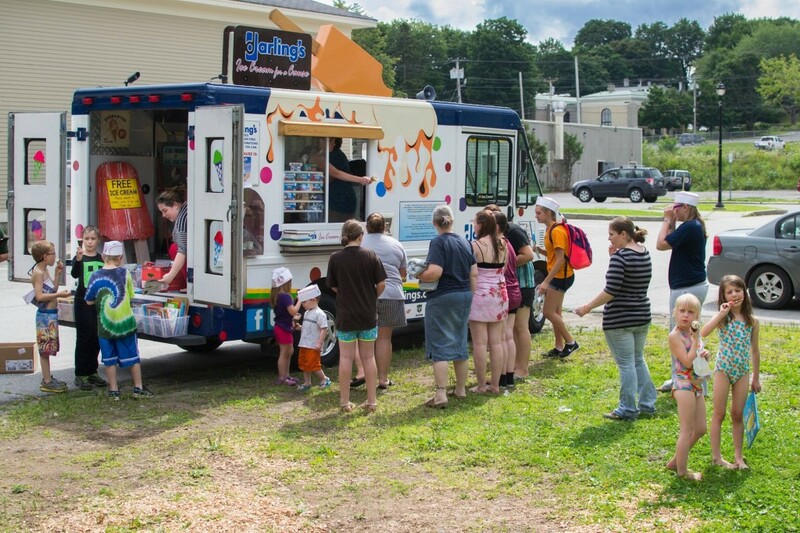 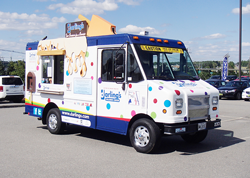 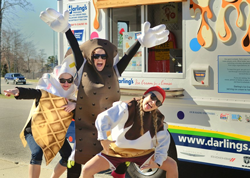 For the second year in a row, Darling’s Ice Cream for a Cause teamed up with Literacy Volunteers of Bangor to turn our ice cream truck into The Literacy Volunteers of Bangor Book Mobile. 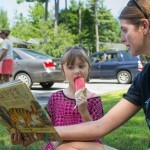 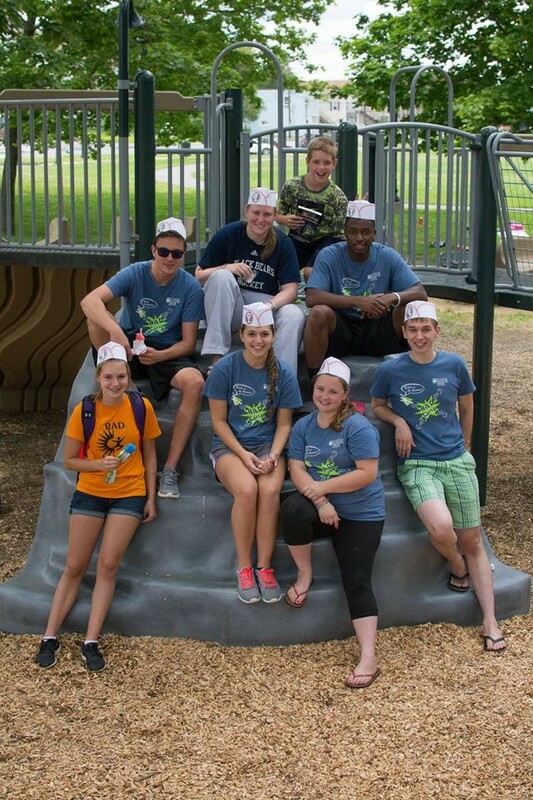 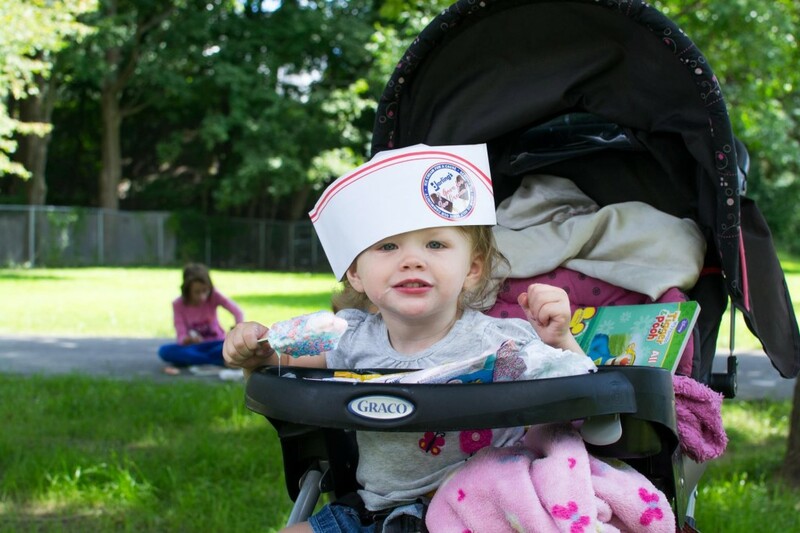 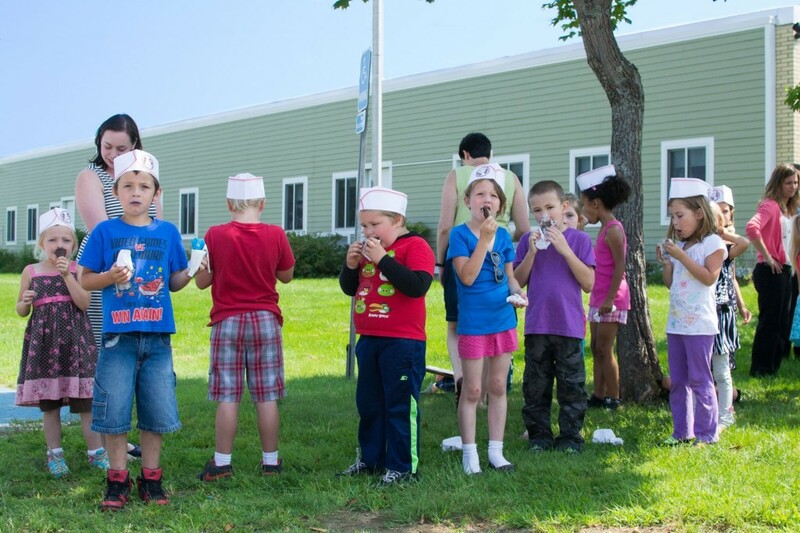 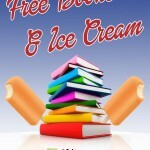 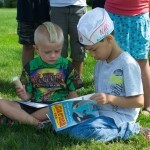 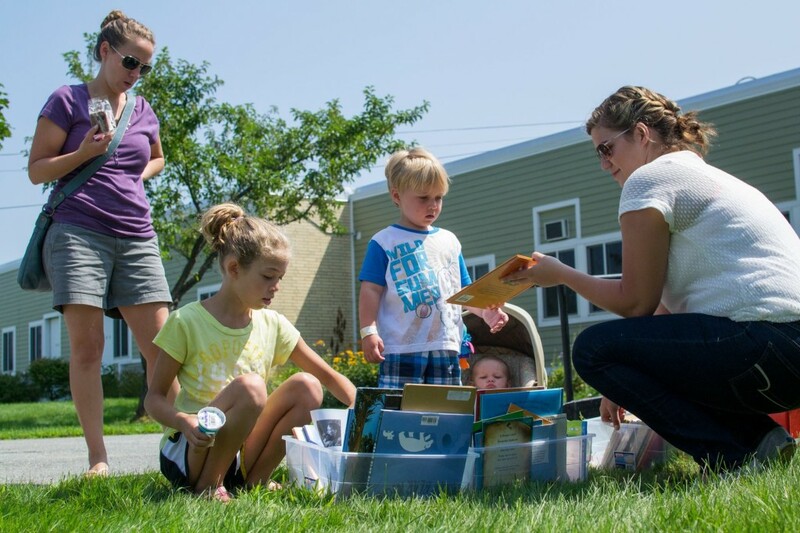 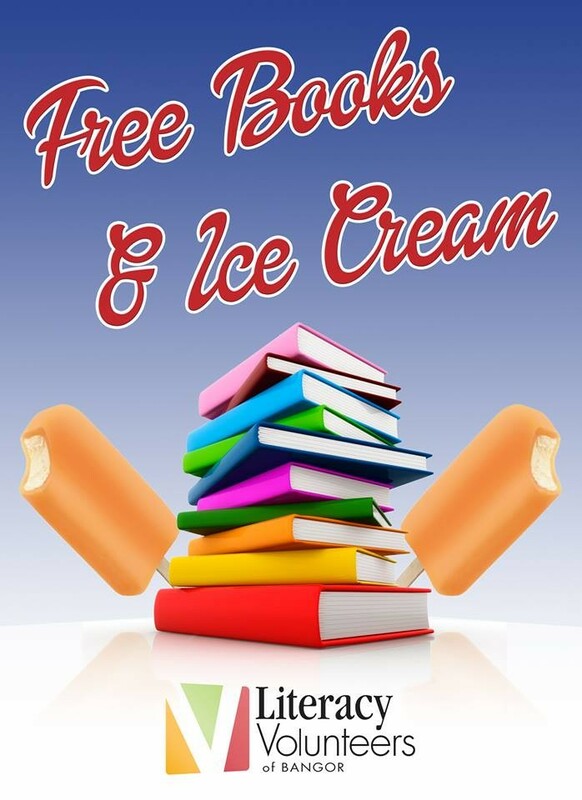 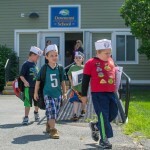 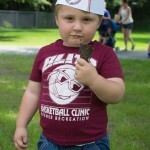 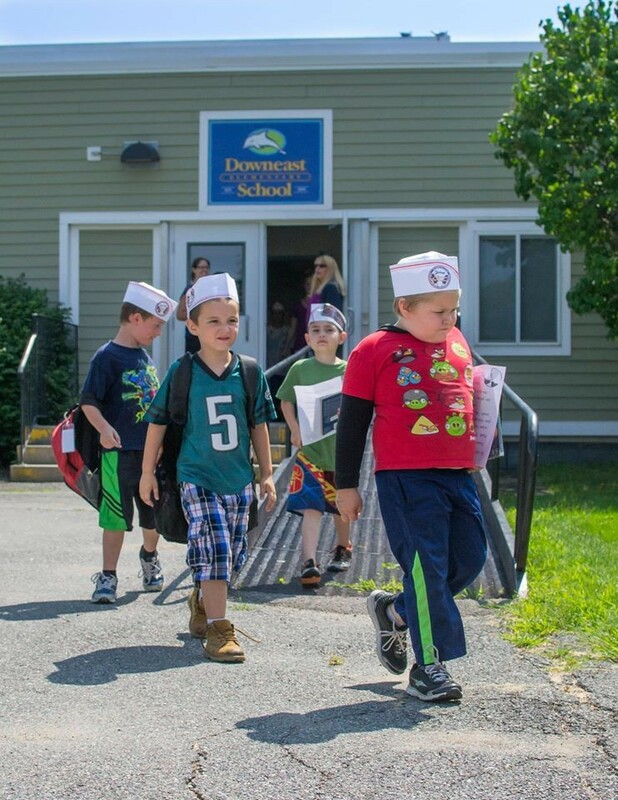 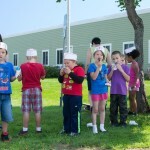 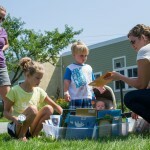 Together, we traveled to different neighborhoods in Old Town, Milford, Alton, Winterport, and Bangor, handing out free ice cream and free books to children. 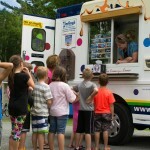 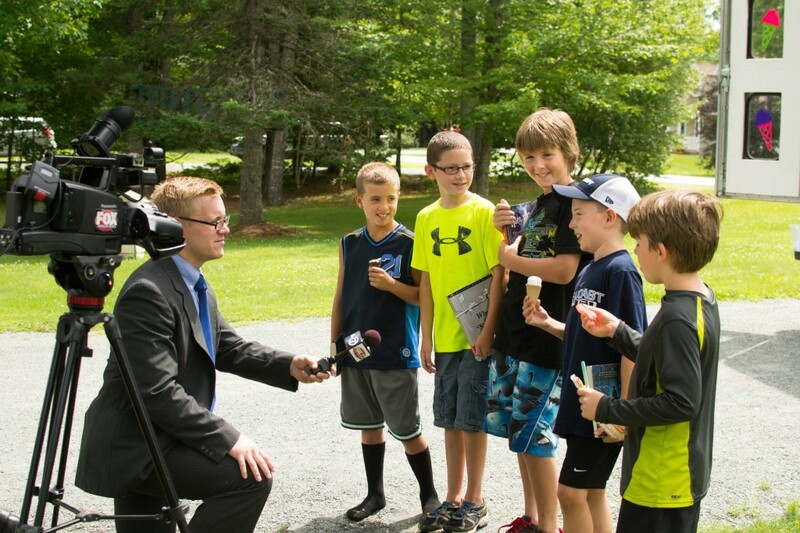 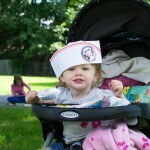 The kids were very happy to see the ice cream truck on a hot summer day. 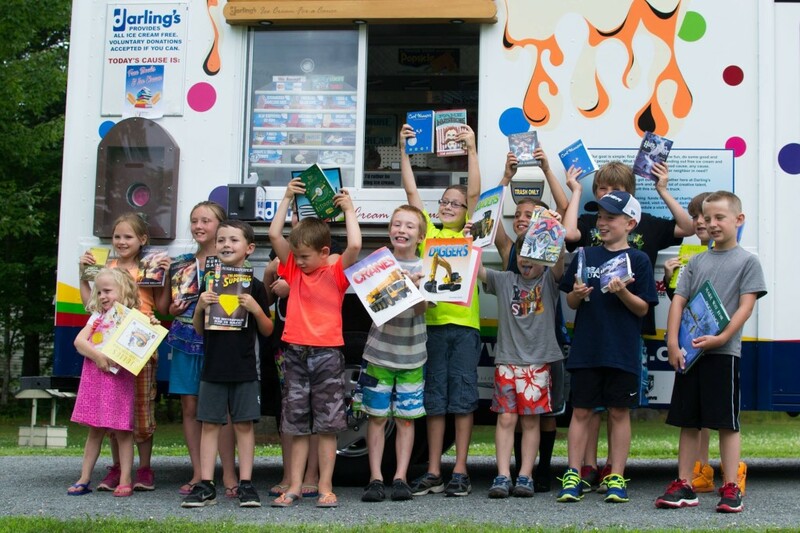 When we swung open the doors and they saw all the books, and we told them we were there to give them the books and ice cream for free, they were overjoyed! 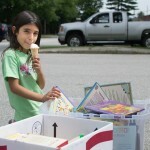 It was interesting to see the kids digging through the bins of books searching for ones that piqued their interest. 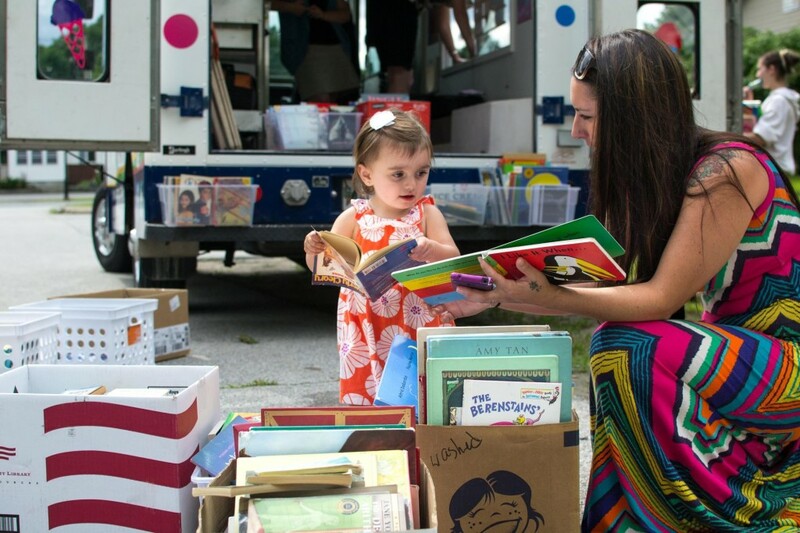 From cars to kittens, fantasy or scary, super heroes and pretty princess, we had all different types of books and the kids were drawn like magnets to the things they were passionate about. 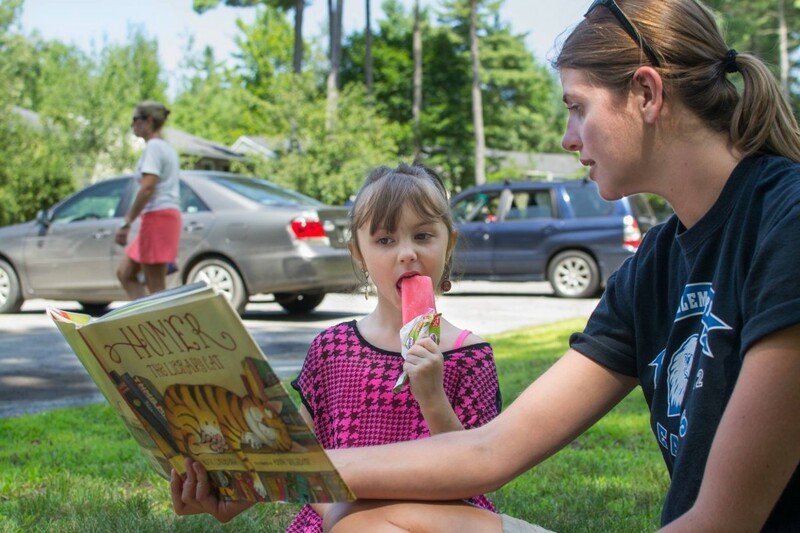 Volunteers and teachers from RSU 34, The University of Maine College of Education, and Literacy Volunteers also joined us at many stops to read aloud to the kids. 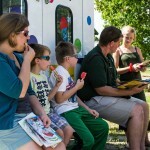 It was incredible to see all the youngsters with ice cream-covered faces giving their full attention to the adult as they read. 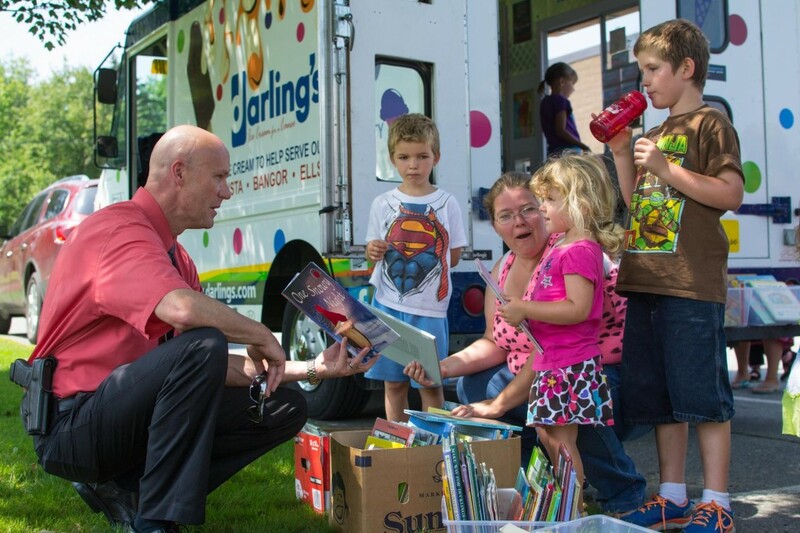 When the story was over, the kids would get all excited and run over to the bins of books so they could have another read to them. 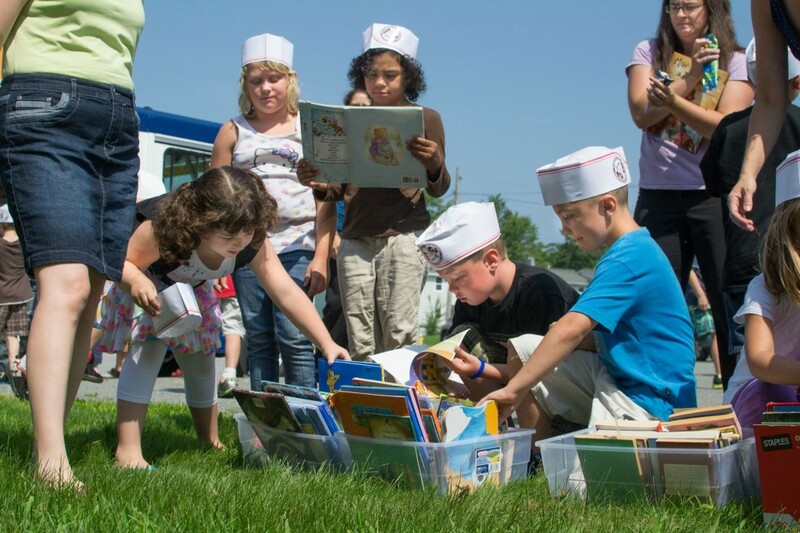 One of my favorite things I witnessed many times, was that many kids weren’t just thinking about themselves; they would ask if they could take a book home to their siblings. 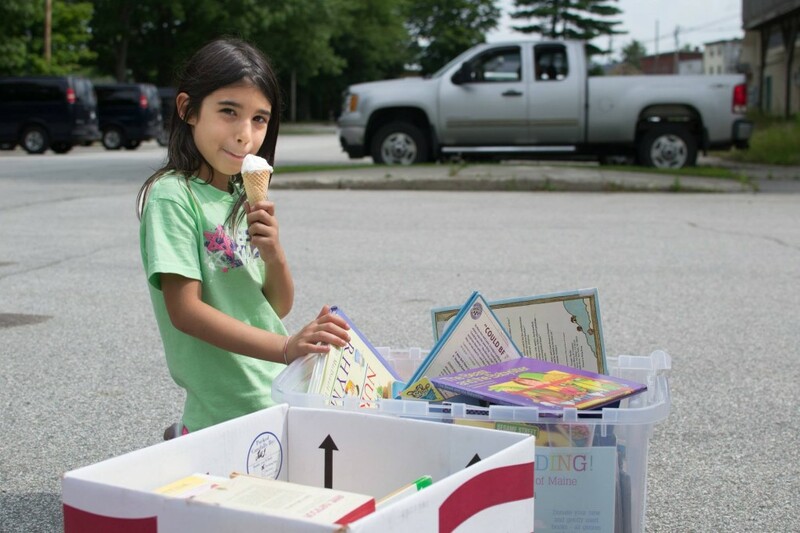 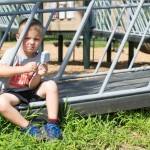 When we said that it was okay, they would dig through the bins to find a board book for their little brother or a Hunger Games book for their older sister. 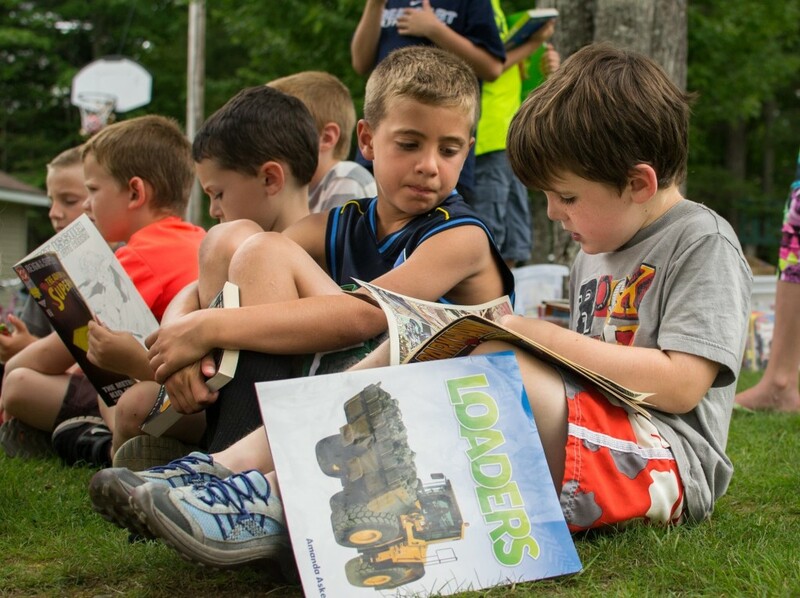 It was really great knowing that they would go home and share the books with their families and tell them all about how they had gotten them. 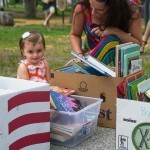 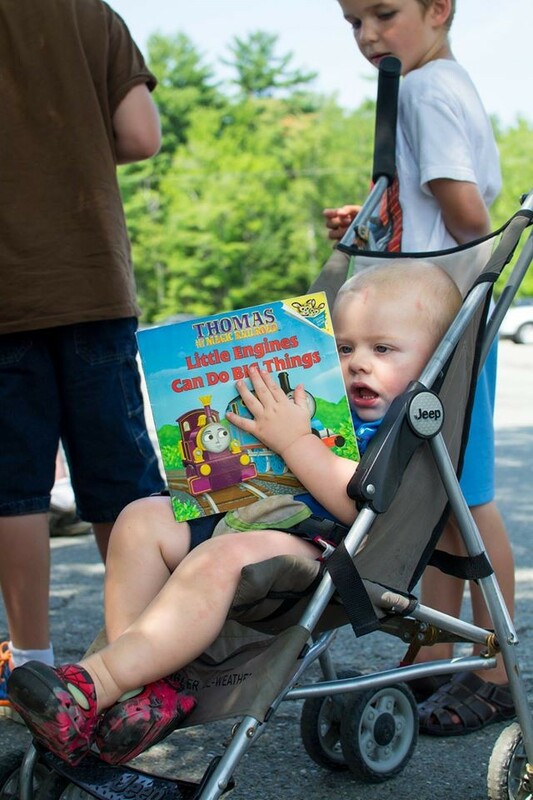 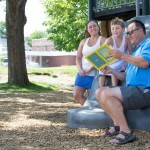 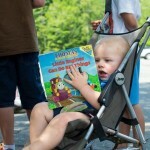 Reading is one of the most important building blocks in a child’s development. 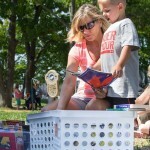 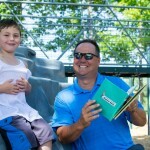 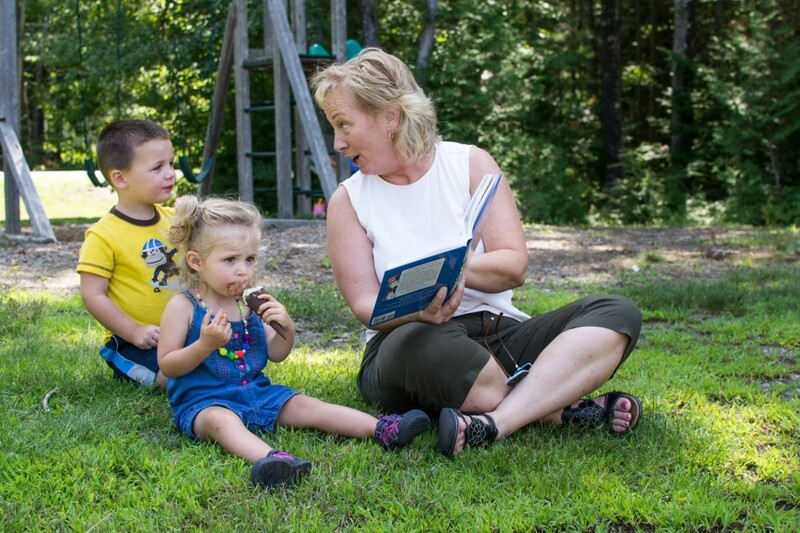 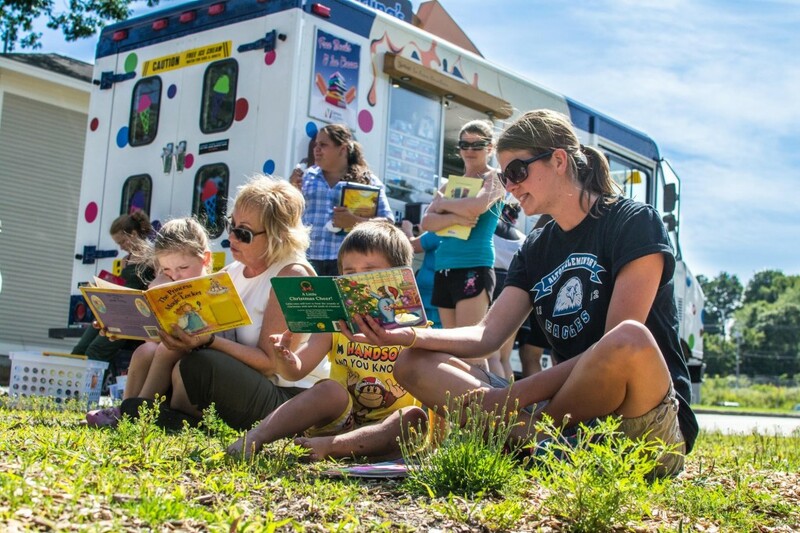 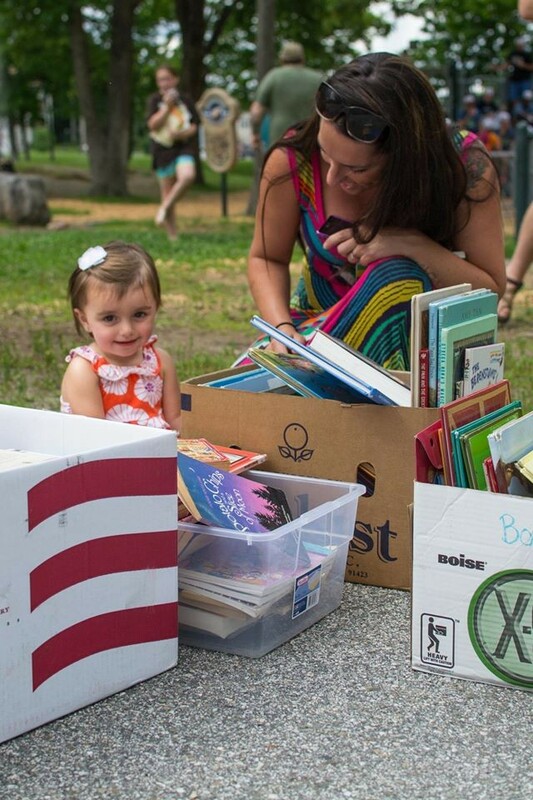 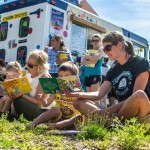 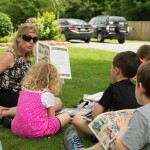 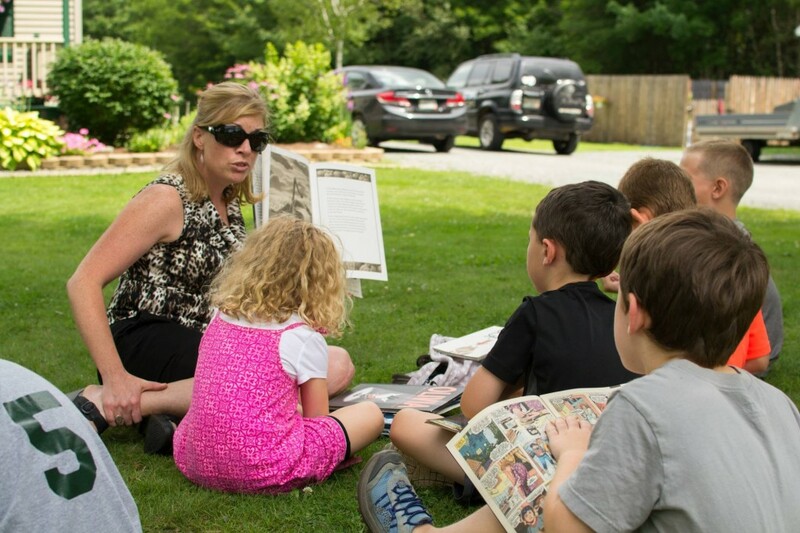 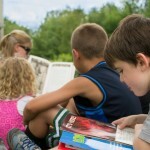 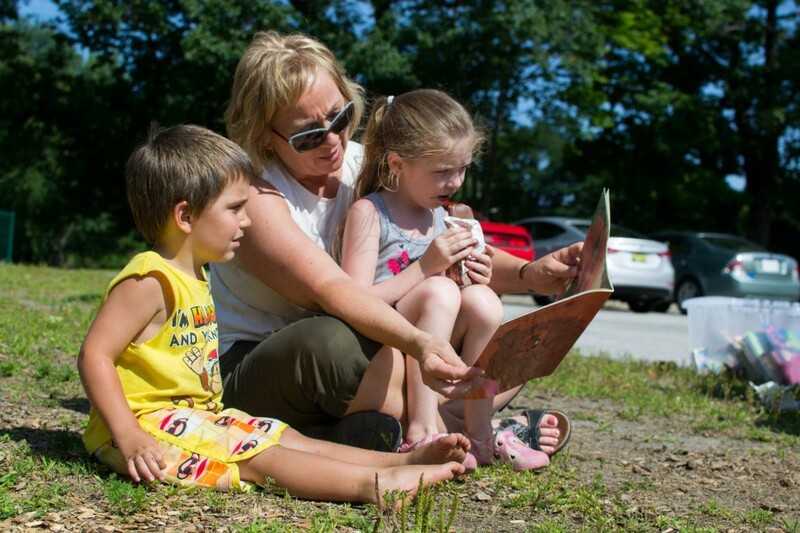 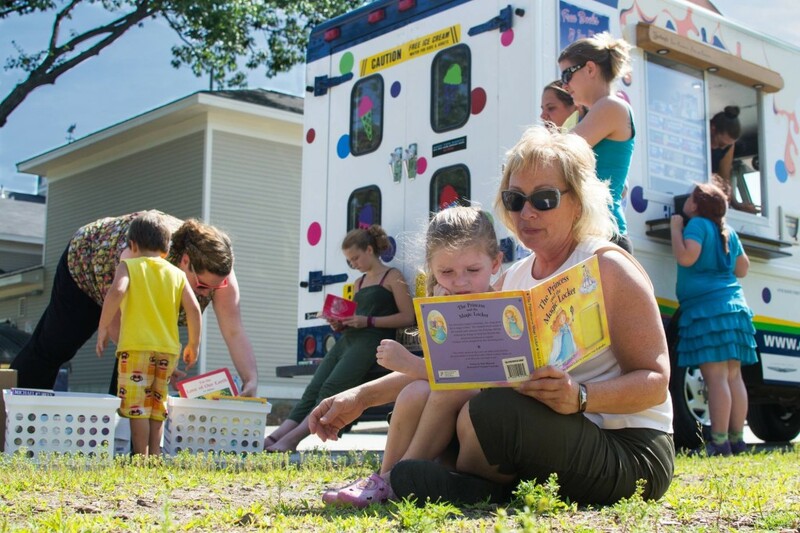 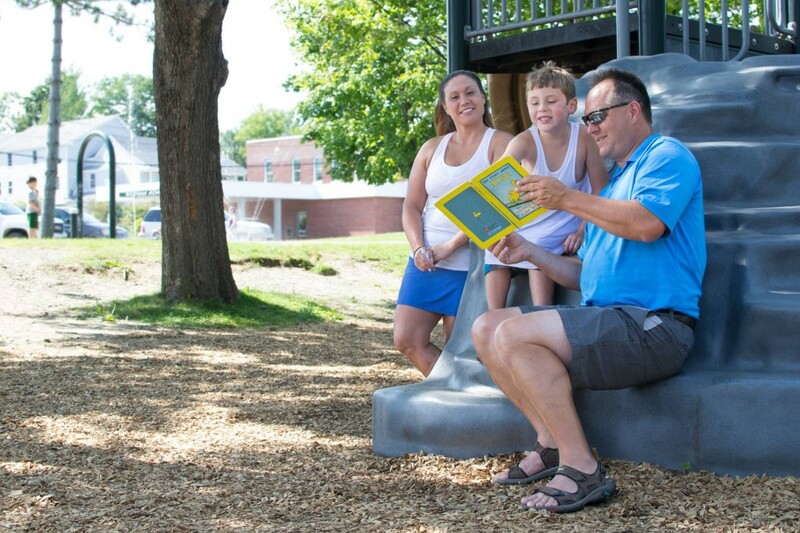 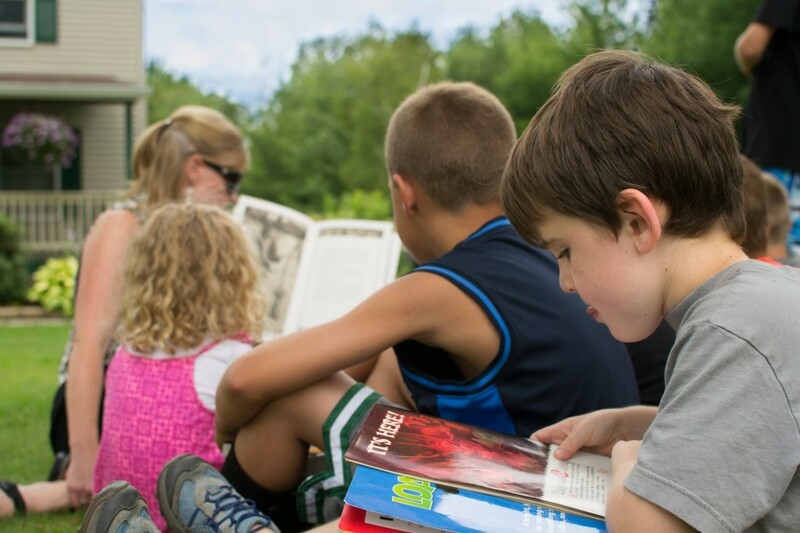 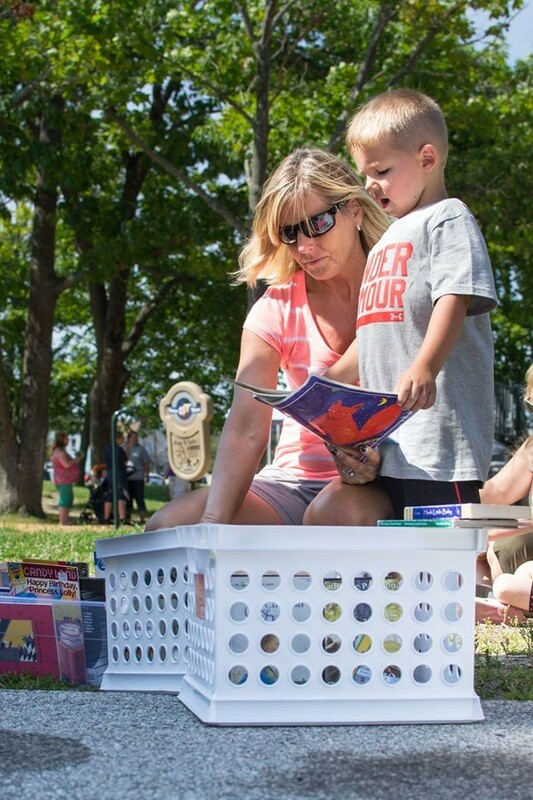 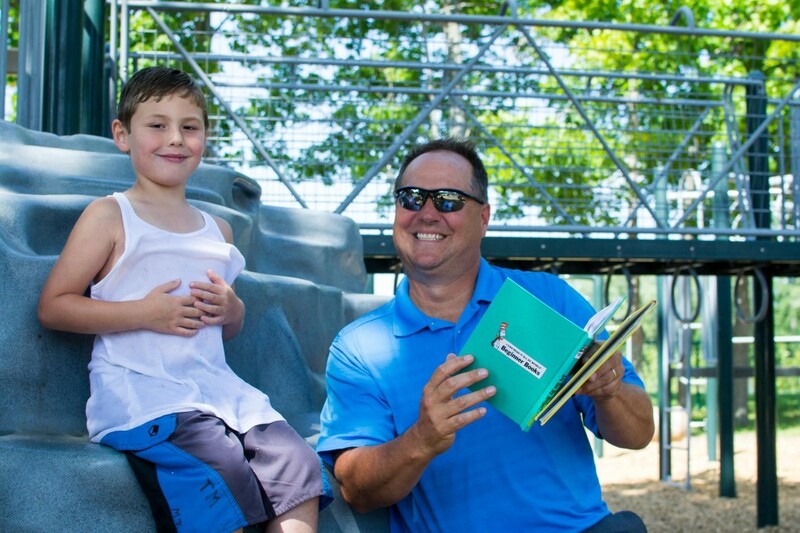 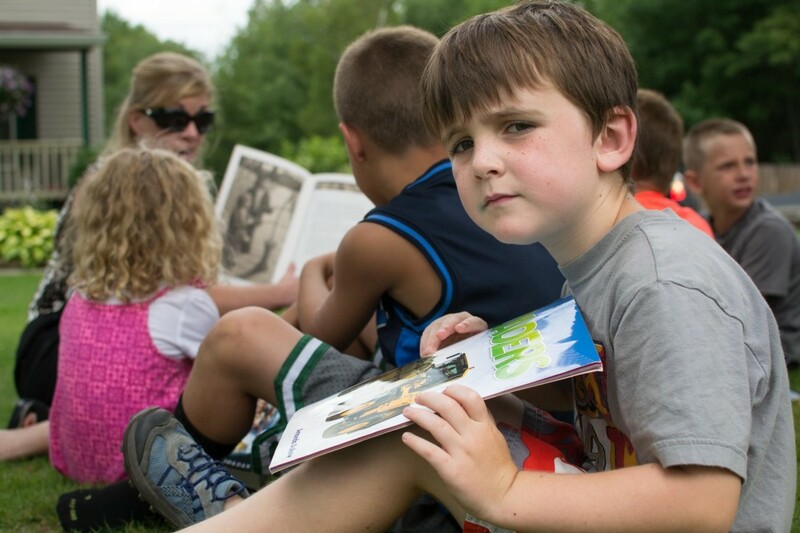 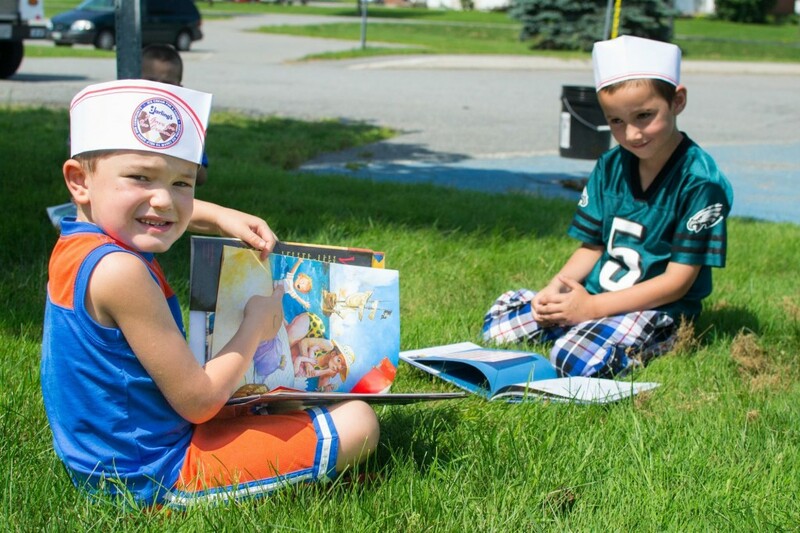 Being able to show them that reading is fun, getting them excited to read, and encouraging them to read with their family, is what the book mobile is all about. 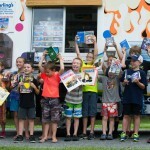 Knowing that I was able to help with this is a wonderful feeling and hopefully it will help them in their journey towards becoming a successful adult. 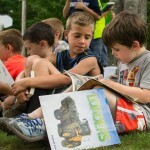 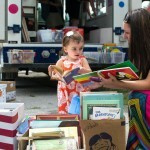 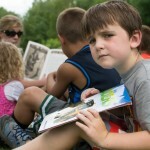 This is why the book mobile is something I look forward to each year.